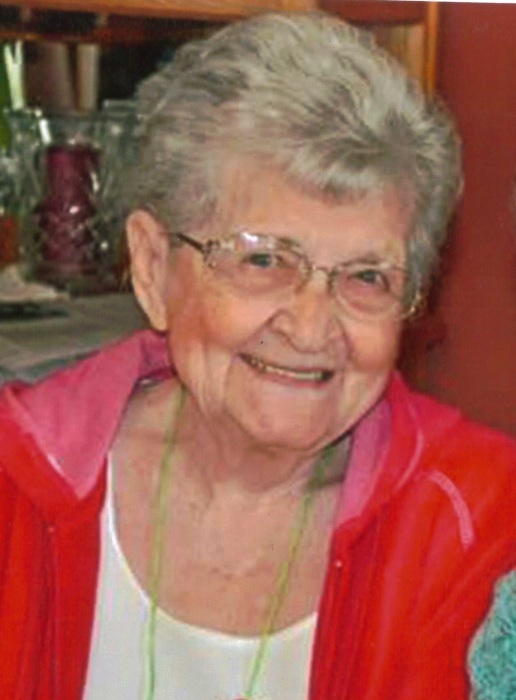 Esther Mae House, 96, of Tuscola, IL passed away at 12:40 P.M. on Wednesday, March 27, 2019 at Tuscola Health Care Center. Funeral services will be held at 11:00 A.M. on Saturday, March 30, 2019 at Walnut Grove Christian Church, 12930 East CR 1700 North, rural Arcola, IL. Pastor Steven Stern will officiate. Visitation will be held one hour prior to the service at the church. The Edwards Funeral Home is assisting with arrangements. Esther was born on April 14, 1922 in Oakland, IL. She was a daughter of Charles Clarence and Elsie Marie (Sutton) Curtis. She married Harold Keith House on January 1, 1945 in Oakland, IL. He passed away on March 26, 2005. Survivors include one son, Michael Keith House and his wife, Kay of Ashmore, IL; one daughter, Marilynn E. Little and her husband, Glen of Tuscola, IL; four grandchildren, Rick Little of Tuscola IL, Sheri Marie Evans and her husband, Doug of Tuscola IL, Sonya Schiefelbein of Wisconsin, Katina Smith and her husband, T.J. of Hindsboro, IL; ten great-grandchildren and three great-great-grandchildren. She was preceded in death by her parents, and her husband, Harold Keith House. Esther was a member of the Walnut Grove Christian Church. Esther and her husband operated a dairy farm for eight years in Bourbon, IL and sold grade A milk to Sunshine Dairy in Decatur, IL. In 1960 they moved to Tuscola, IL to farm for Bill McCarty, they lived on the Filson Road. Esther enjoyed sewing, embroidering, gardening, fishing and spending time on their house boat on Lake Shelbyville and later in Kentucky on Lake Barkley at Lake Barkley State Park and Marina. Esther and Keith retired to Sebring, FL in 1982, in 2001 they moved back to Illinois to be with family. Memorials may be made to Camp New Hope.